Ceramics, textiles and paintings by Charlotte Hodes. 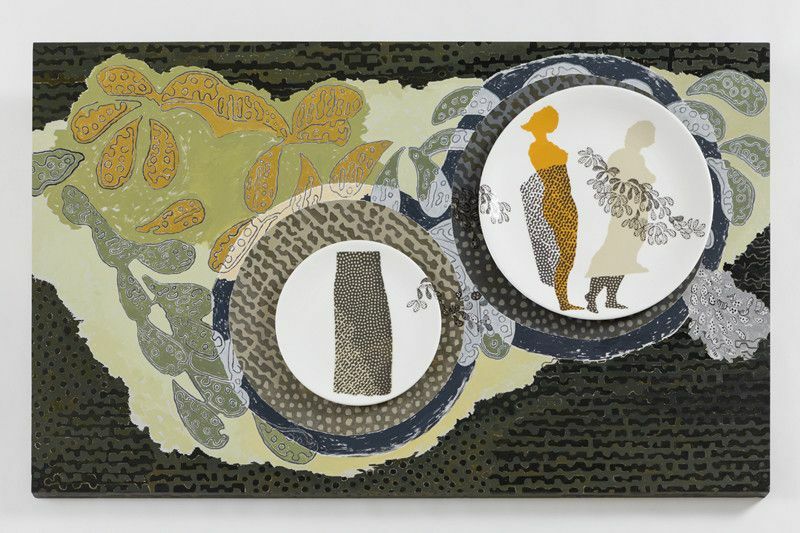 Dressed in Pattern brings together new ceramics and paintings by Charlotte Hodes created over the last two years. These artworks are the outcome of research made at the ceramic Spode Museum Trust archive of copper engravings in Stoke-on-Trent. Motifs and patterns found on the original engravings were printed, scanned, deconstructed and redrawn to shape the graphic language for Hodes’ new images. Her signature women, presented in the form of silhouettes, are dressed in pattern and form part of the landscapes through which they meander. The exhibition is the inaugural collaboration between Circus, a boutique management consultancy, and jaggedart gallery. It will be shown across two galleries in Marylebone - three minutes away from each other. Charlotte Hodes’s silhouettes will inhabit the gallery space at Circus from 19 – 22 April only, with an installation of ceramics and paintings. The exhibition will continue at jaggedart until 14 May.